5.2 We are Cosmic Vibratory Beings! 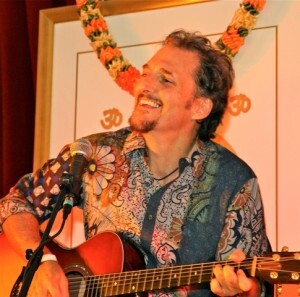 Philippo Franchini -The Musical Alchemist - composes, plays and heals with the vibrations of music to delight and harmonize all parts of the Self! His new CD Resonate is available through White Swan Records. 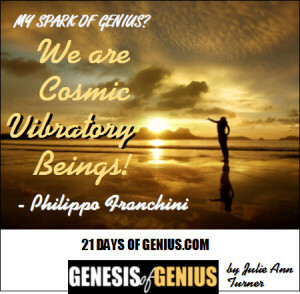 To read Philippo's full "SPARKS OF GENIUS" Insight - plus those of 100+ global creators & visionaries - all included in our new SPARKS OF GENIUS eBook - be sure you're signed up for your reminder to buy the GENESIS OF GENIUS Book on Launch Day, Oct. 24 - where the complete SPARKS OF GENIUS eBook will available as a FREE bonus!